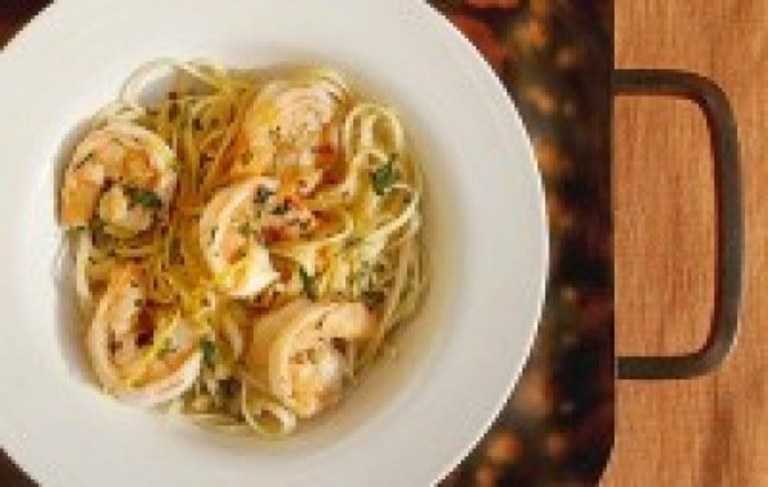 Shrimp scampi is allways a very popular meal. Adding white wine and linguini makes it very special. 1. Cook the pasta according to pack instructions, adding some salt. Drain the pasta reserving 1 cup of water. 2. Meanwhile, in a large skillet, melt 2 tablespoons butter in 2 tablespoons olive oil over medium-high heat. Saute the shallots, garlic, and red pepper flakes (if using) until the shallots are translucent, about 3 to 4 minutes. 3. Season the shrimp with salt and pepper; add them to the pan and cook until they have turned pink, about 2 to 3 minutes. Remove the shrimp from the pan; set aside and keep warm. 4. Add wine and lemon juice and bring to a boil. 5. Add 2 tablespoons butter and 2 tablespoons oil. 6. When the butter has melted, return the shrimp to the pan along with parsley or cilantro and cooked pasta and reserved pasta water. 7. Stir well and season with salt and pepper. Drizzle over a bit more olive oil and serve immediately.